Not only recover WhatsApp pictures, but also WhatsApp chat history. Allow you to preview the deleted data for free, and selectively retrieve them. WhatApp is an integral part of our everyday communication, and any lose of data is highly frustrating. Losing your WhatsApp images is like a nightmare. But surprisingly it happens more often than you know, and recovering these deleted WhatsApp photos is not easy unless you have a robust solution like a WhatsApp recovery software. If you are struggling with data lost, then this article will definitely be a lifesaver. Go through this comprehensive guide to know how to recover deleted WhatsApp photos and other data for iOS and Android devices like a pro. Next time, you can always backup your WhatsApp messages to avaid unexected data loss again. There are a couple of recovery software available in the market. However, to get the proven results, you should try dr.fone - Recover (iOS), the World's 1st iPhone and iPad data recovery software. This software offers complete solution for the recovery of deleted data including contacts notes, messages, images and even WhatsApp data from an iPhone or iPad. With highest recovery rate, the software is compatible with latest iOS devices such as iPhone X, iPhone 8, iPhone 8 Plus. For 100% satisfaction, you can choose the trial version. However, buying the software is more profitable as it comes with full features and a 7-Day money back guarantee. 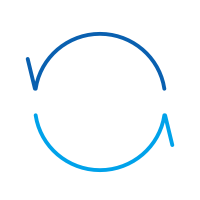 Supports all models of iPhone, iPad and iPod touch, including the lastest iOS 11.
dr.fone - Recover (iOS) offers three ways to recover deleted WhatsApp pictures and other data. You can directly scan your iPhone, extract from your iTunes backup or extract from your iCloud backup. Download dr.fone and launch it on your computer, and click Recover. Connect your iPhone to your computer through a USB cable, then select Recover iPhone Data. Choose the items you want to recover and click "Recover to Computer". 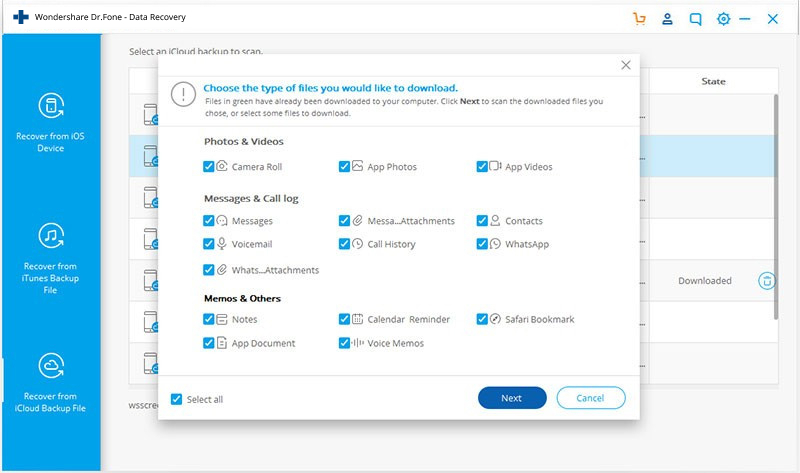 • Download and launch the software, click Recover. • Choose Recover iOS Data and then select Recover from iTunes Backup File tab. • All the iTunes backup files on your computer will be displayed. • Select the file containing your lost WhatsApp images and scan the files using "Start Scan". 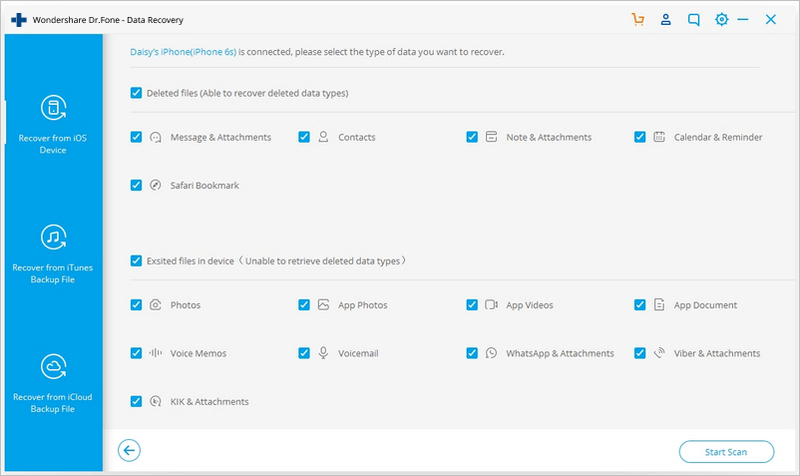 • After the scan is completed, preview the data and select the WhatsApp files you want to recover. 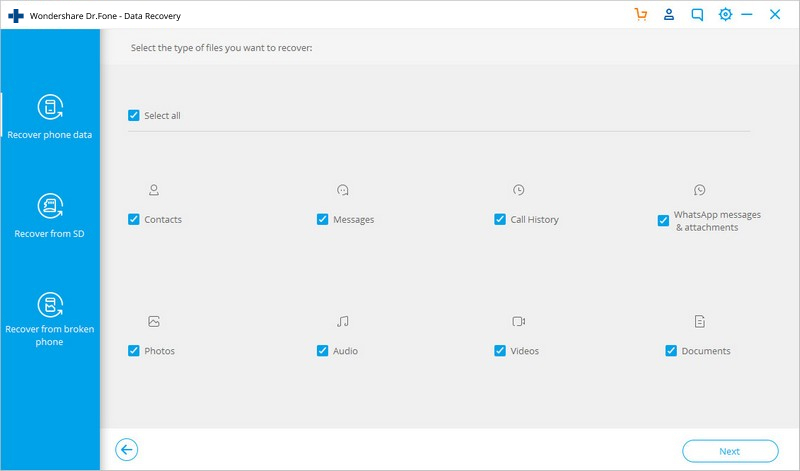 • Click on "Recover' to save the files to your computer. • You can also directly save them on your iPhone. • Launch dr.fone toolkit, click on Recover. 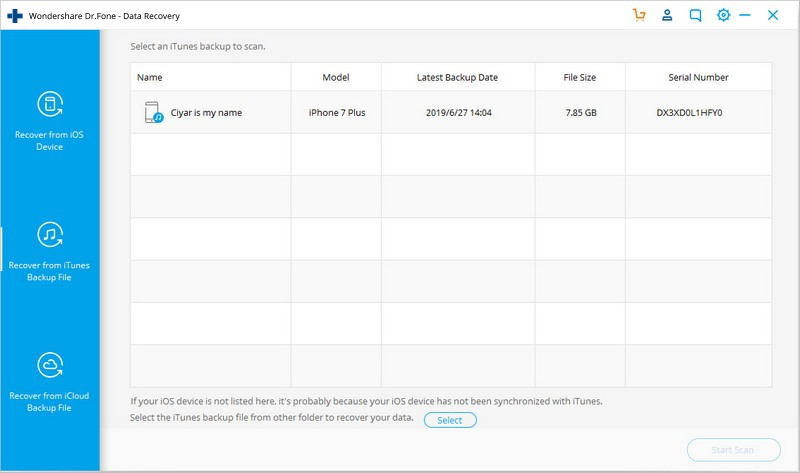 • Select Recover iOS Data and then go to Recover from iCloud Backup File tab. 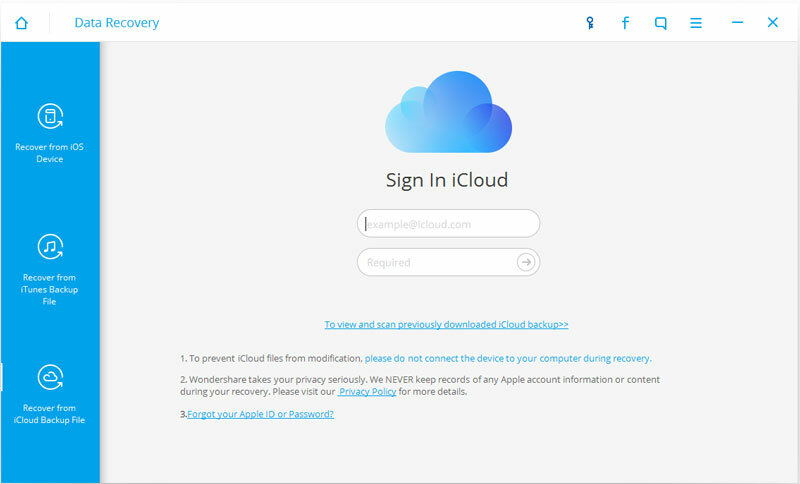 • Sign in to your iCloud account. • Check all iCloud backup files. • Select files that contain your deleted WhatsApp items. • Download the files to your computer or directly to your iPhone. • Select WhatsApp attachments in the pop up window to reduce the time of scanning. 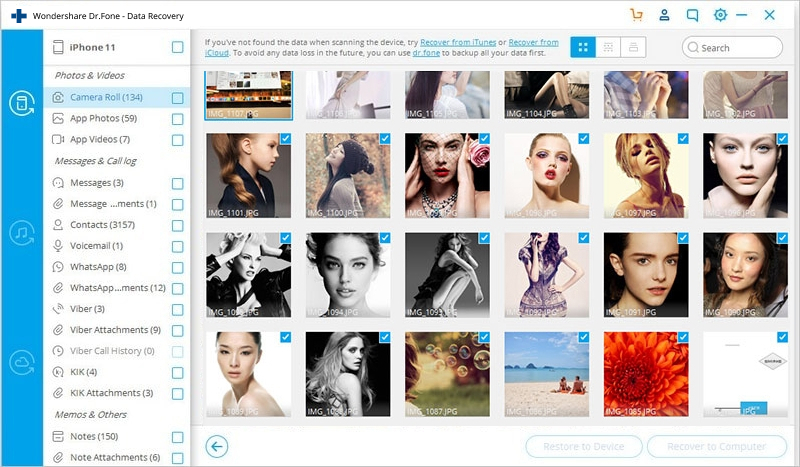 • When scanned, preview the files and select the images you want to recover. Isn't dr.fone an amazing recovery software to let's you recover any amount of WhatsApp data easily and quickly? There is nothing more satisfying than having fast, flexible and easy to use recovery software just a click away. 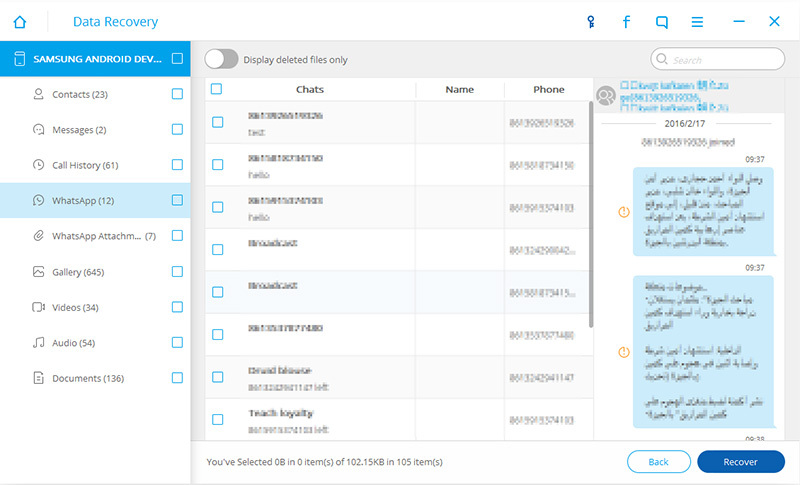 With dr.fone - Recover (Android), the world's 1st Android data recovery software that is compatible with over 6000 Android devices, you can fastly recover deleted files on Android. 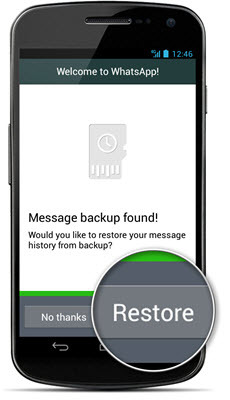 The clear instructions and simple steps make dr.fone - Recover (Android) an ideal tool to retrieve lost or deleted information including messages, contacts, photos, videos and lots more. If you have lost WhatsApp images, here is a simple set of instructions to recollect the data for your Android device. • When you lose WhatsApp data, do not overwrite it. Do not update files or send messages else, you may lose the data forever. • Connect your Android device to your computer using a USB cable. • Enable debugging of your Android device. • For debugging, follow the instructions of dr.fone - Recover (Android). • Now choose the type of data you want to scan. You will have a list of options including contacts, messages, videos, call history, gallery and more. • Choose "WhatsApp Messages and Attachments" to scan the files. • After the scan is complete, select the WhatsApp images you wish to recover and click "Recover" to finally get your deleted pictures. Now that you have the photos, share and enjoy. With dr.fone, you can also recover Android SD Card data or extract data from a damaged Android device such as Smartphone or tablet. Many times, we accidently delete photos and regret later. However, you don't have to feel disappointed about the lost items as you can recover them using Auto-backup that WhatsApp creates every time you use it. The simple procedure just requires uninstalling and re-installing of WhatsApp on your Smartphone. 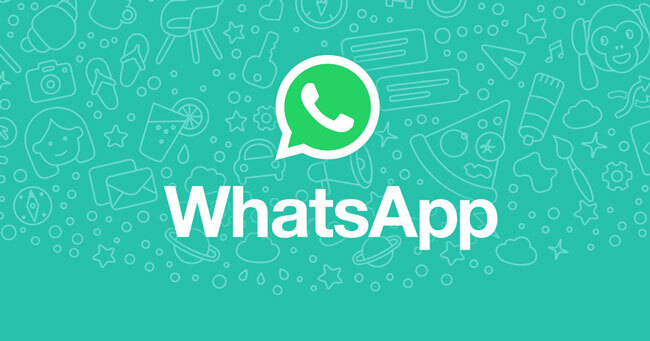 This will enable WhatsApp to recover all the deleted data using auto-backup. 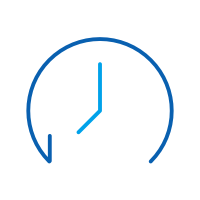 Check out the simple steps to accomplish the task in no time. • It is easy, quick and assured method. • You don't need to go through any complicated procedures. dr.fone toolkit can help more than just data recovery. Our tools are the best at job and can sooth you in any situation with tested solutions. Try it and you will feel more connected with your devices. 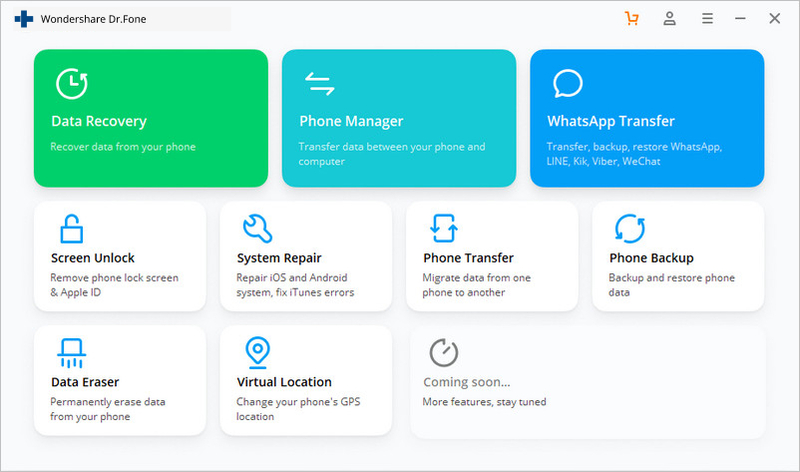 There are top solutions available which helps you to resolve WhatsApp issues & tools like MobileTrans is available to transfer the data in just 1-click.